Geek Grotto - Get Your Geek On! 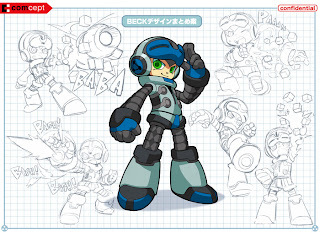 : Mighty No 9 Finally OUT! Mighty No 9 Finally OUT! No, Hell hasn't frozen over! Mighty No 9 is finally out and KickStarter Backers should start receiving their codes from Humble Bundle. There is "some" bad news though... A bug on the Xbox 360 version is delaying the game a few days and the Vita version is still in development (PlayStation version is cross buy between the PS3, PS4 and Vita versions). We are just waiting for the PSN store to update to try out our code! Also, the 3DS version is labeled as "Coming Soon" for all regions and the WiiU version for Australia and Europe as well as the soundtrack are labeled "Coming Really Soon" with the delayed Xbox 360 version. So, after YEARS worth of delays, we finally get the game in hand!